This is the extraordinary sight that greeted me when I returned to my room at Hotel Valencia, San Jose, California yesterday evening. The noise was just as shocking. I’m in a different room now. The saga continues. At breakfast, I pointed out that there was no butter. I was told they had run out. Completely. A hotel with no butter? How can that happen? Why hadn’t someone gone across to Safeway to buy some? I usually enjoy staying at the Valencia, but standards have collapsed since my last visit in March. PS: I do like the Valencia’s free wifi though. European hotels take note. Wifi needn’t be a rip off. This entry was posted in Travel and tagged Hotel Valencia, San Jose by Rob Skinner. Bookmark the permalink. US hotels’ customer service is not always what it’s cracked up to be. I once stayed in a hotel in Eureka, northern California, that ran out of food at breakfast (more than an hour before they were due to stop serving). When I commented on this to the waitress, she snapped at me “you should have got up earlier” and then complained to the manager that I had upset her. The manager also handled it very badly. It was probably a mistake to leave the guests’ comments book open in the reception area. I agree Rob. We had a dreadful experience at a Holiday Inn in Orlando once. It was as if they didn’t understand what we we saying when we asked them to put things right. 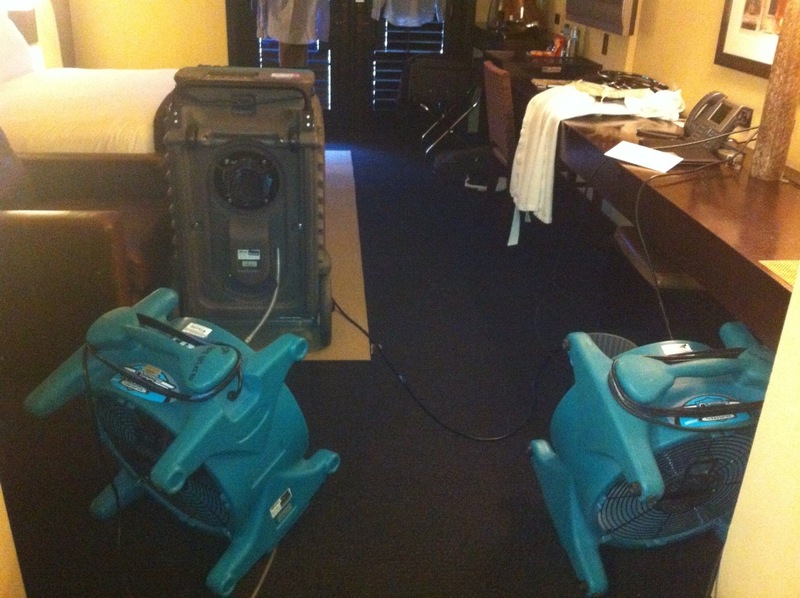 I am very sorry that your room was flooded and that we did not attempt notify prior to your return. Unfortunately, we did have 2 different guests leave their bathtubs running this week while they went to sleep and caused considerable water damage in the building. We were sold out and did not have a lot of options to move guests immediately to alternate guest rooms. As to the butter, we were not out — merely out of the butter balls which we normally use for breakfast. It would appear the communication to you was very poor. I see that you are still in the hotel and, if you have a moment, I would like to meet and apologize to you in person for these issues. As always, anytime I can assist you personally on any visit, it would be my pleasure. Thanks for your reply, Bonnie. Happy to meet – and thanks for solving the butter mystery!